The Rio Stool is a simple, stylish design of seat which can be fitted to all 6 of the standard bases. 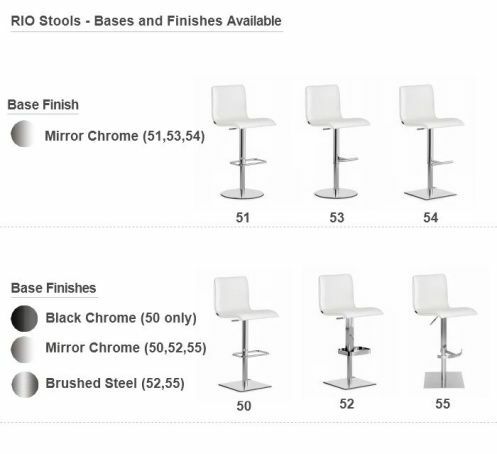 Base 50 is available in Mirror Chrome or Black Chrome Finish. You can choose the base and the finish that you want by clicking the "Base Style and Finish" button, then pick the option you like and the price will change to show the cost of that option. The seat can be covered in all 29 of the Magic Eco Leather colours or 20 Real Leather Colours. Click the highlighted link to see the two Upholstery Sample Cards . Eco Leather is a High Quality Man Made Material which looks and Feels like Real Leather but without the same price tag. It is Very Hard Wearing. The Martindale Rub Test measures the ability of fabric to resist wear. It is purely a comparative test, to show which fabric is more hard wearing. A piece of fabric is placed on a table and a mechanical shoe scuffs it until it wears out. If the fabric survives over 15,000 cycles, then is considered suitable for Contract use - that is it can be used on chairs or bar Stools in commercial locations, like Shops, Offices, Restaurants etc,. 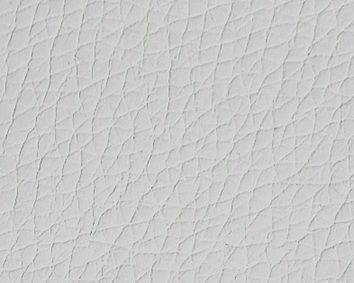 Magic Eco Leather had not worn out after 100, 000 cycles, which is almost 7 times the requirement of contract usage. The seat is created from a Laminated Shaped Plywood base, covered with foam and then the Real Leather or Eco Leather Cover is cut and fitted to follow the shaped seat precisely. 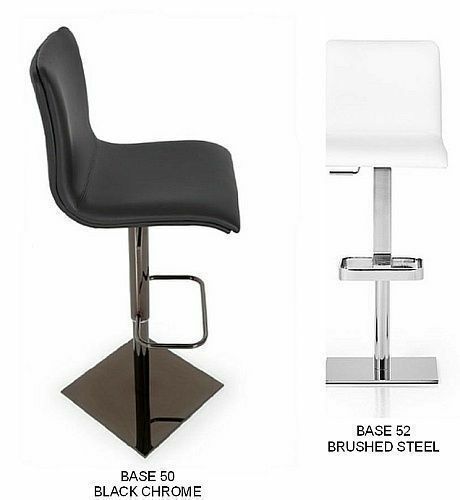 There is a Rio chair which matches the Rio Bar Stool. This is ideal for Open Plan Dining Kitchens, because the Bar stools and chairs match each other in style. Naturally they can be covered in the same colour leather or fabric to give a totally co-ordinated effect. N.B. It is possible to get the seat of the Rio Stool upholstered in two different colours of Eco Leather . One on the inside of the seat and the other on the outside of the seat. We call this Bi-Colour. There is an extra cost for this option. Please ask for more information if this is of interest.